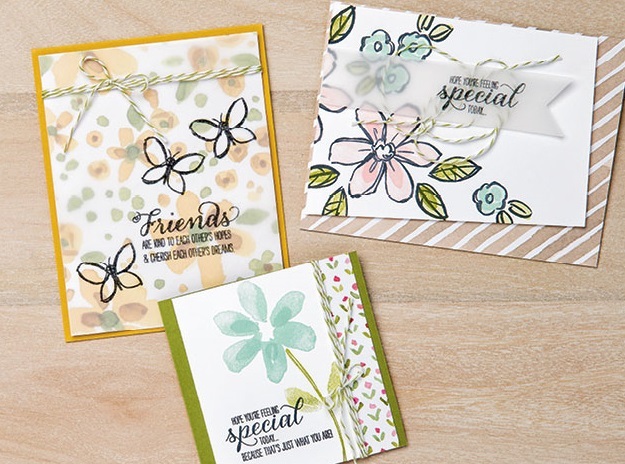 These are lovely Stampin' Up! HQ designs - aren't they fab? They're easy to CASE (copy and share) and make beautiful greetings cards for that special someone. I have put everything you need to make these gorgeous cards in the ticker below. You can also have a look here. The designer series paper 'English Garden' will be finishing at the end of May as we make way for the new Annual Catalogue, however the stamp set 'Garden in Bloom' is staying - hurrah!